Photo courtesy of zimbio.com. 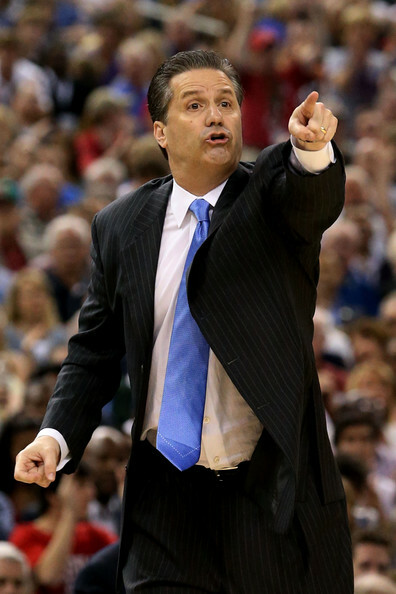 John Calipari (pictured above) has revived Kentucky basketball and mastered the science of the one-and-done. In the evening hours of March 25, 2009, Lexington, Kentucky was solemn and quiet. All that could be heard was the sound of a buzzer going off on the few TVs that had been left on long enough to watch the Kentucky Wildcats fall by double digits to Notre Dame in the NIT. It was rock bottom; the end of a long slide from the top of the mountain of college basketball. Kentucky had missed the tournament for the first time in 17 years, and their new coach, Billy Gillispie, had seemingly put the finishing touches on running the program out of the spotlight. For years, Kentucky had thrived in an era of college basketball in which dynasties were the key to success; building and sustaining programs was forged on the foundation of long-term players. But with the introduction of the one-and-done rule, Kentucky was unable to find a way to survive in a new era of basketball. That all changed on April 1st, 2009.